You might think of your skull as a solid bone that contains your brain. But in fact, it is made up of a complex system of bones that fit together as a 3D jigsaw puzzle would. Just like other parts of the body, the joints in your skull and the supporting tissues can become restricted. At Barnes Chiropractic Healthcare, Chiropractor Julian Keel provides cranial therapy that addresses these vital areas. Cranial therapy is designed to release the restrictions of the skull and supporting tissues with safe, gentle and effective focused pressure. It can be used to address a broad variety of conditions in people of all ages, from newborns to the elderly. 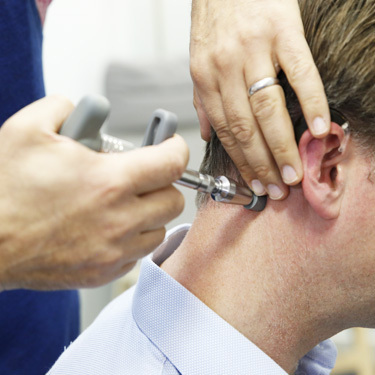 To perform cranial chiropractic, Julian has undertaken additional training spanning several years. He has learned to assess and treat cranial and jaw-related problems. Usually, cranial treatment is integrated with traditional chiropractic care to ensure that your cranium, spine, pelvis and their relationship to your nervous system are kept in balance. Practitioners of cranial therapy agree that the mother’s pelvis being out of balance that leads to intrauterine constraint can apply strain to the baby’s head in pregnancy. During the birth process, the spine and skull are put under extra pressure. Cranial stress can also be caused by jaw joint and bite problems, certain dental procedures or trauma to the head. Are you experiencing discomfort? Our team is here to help with cranial chiropractic Barnes. Contact us today to arrange your appointment! Same-day visits are available.